Situated off Baltimore Avenue behind the Hotel at UMD is Maryland’s first WeWork. The company, with 548 offices in 96 cities world wide, is one of the largest shared office spaces in the world. The College Park space has a variety of options for companies and organizations from an upstairs wing of office suites to meeting rooms to “hot desks”. Hot Desks are ideal for independent entrepreneurs or individual employees. Its ambience is a mix between industrial, artsy and cozy. 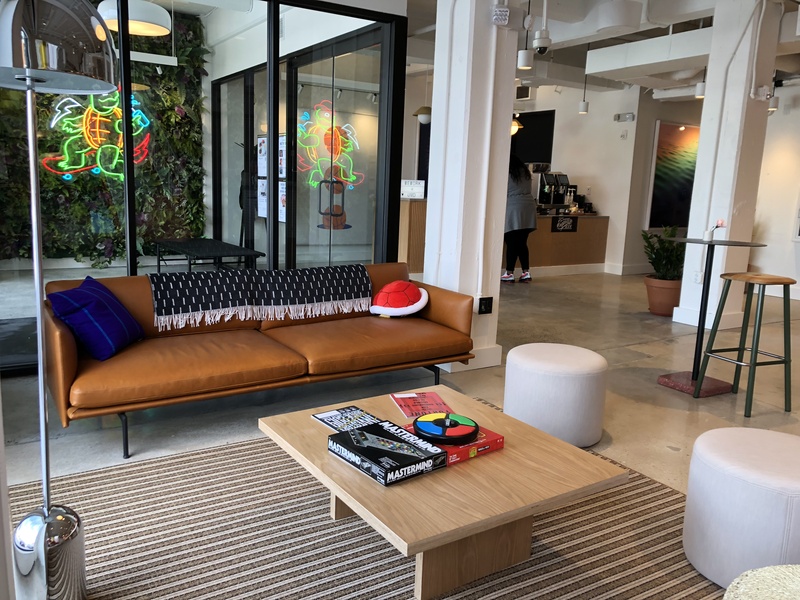 There is amazing artwork on the walls, plants throughout, and communal areas with couches and cushioned “stadium seating” for WeWork events, meetings, and more. The kitchen area is equipped with refrigerators for people to bring their lunch, cold water – often infused with fresh fruit – kombucha, cold brew on tap, espresso machines and hot Vigilante Coffee. 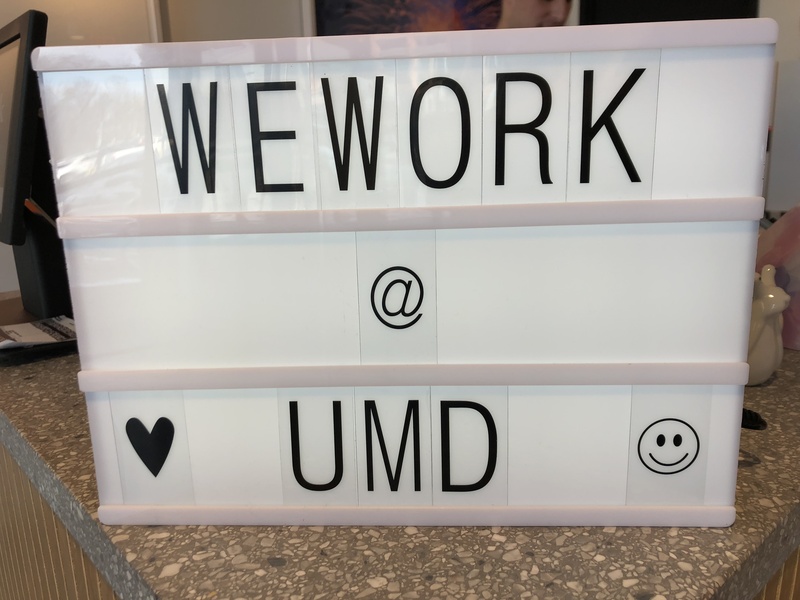 Those who work in the College Park WeWork have many different backgrounds including people from companies and organizations as well as entrepreneurs just starting out. Industries include real estate companies, nonprofits, tech companies, startups and web design organizations. If one needs a quick break, WeWork offers a video games table that features Donkey Kong and Pac Man. 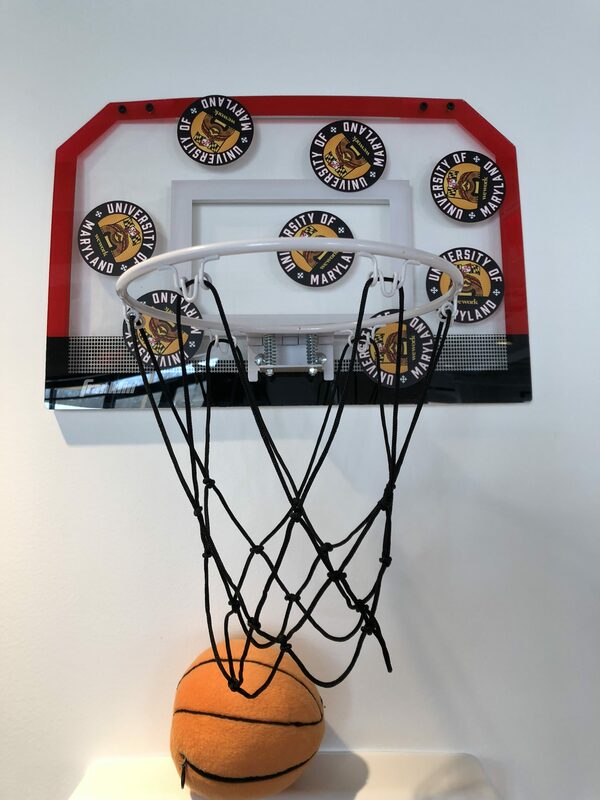 There’s a basketball hoop. 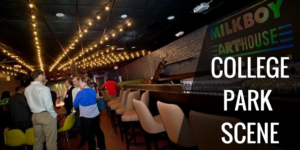 Or, you can go for a walk as this location is within a 10-minute-walk from both the downtown and midtown sections of College Park, adjacent to the Hotel and campus, as well as close to an mBike station and the trail network. WeWork is already a great new asset in College Park, and will continue to bolster the business and community as it grows and expands.